Congratulations to New Edition on getting their Star on the Hollywood Walk of Fame. 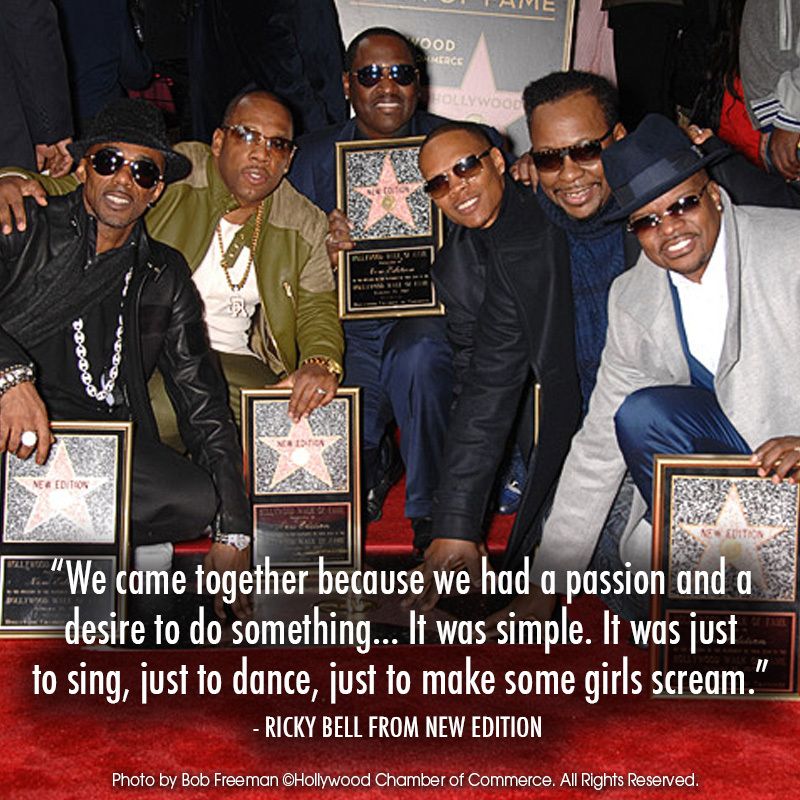 The Hollywood Chamber of Commerce proudly honored musical group — Ronnie DeVoe, Ricky Bell, Michael Bivins, Bobby Brown, Ralph Tresvant and Johnny Gill — with the 2,600th star on Monday, January 23. Are you a New Edition fan? Can you answer this trivia question? Q: In what city was New Edition formed? For the answer to this and more New Edition trivia, download the Official Hollywood Wlak of Fame app on iTunes or Android. And watch Walk of Fame ceremonies on our Vimeo channel.